fast and easy weight adjustment with the simple twist of the handle to keep your workouts effective and moving. contoured handle that is textured to provide a comfortable and secure grip. engineered to last with over molded high impact plastic body. highly visible weight selection windows located at each end of the handle for quick weight selection. weight increments accommodate users of all fitness levels. 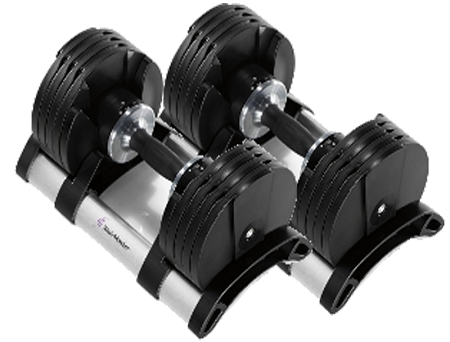 easy access and secure storage of the dumbbells. Plus with the open-end design of the cradles, they can be easily picked up and moved when needed. 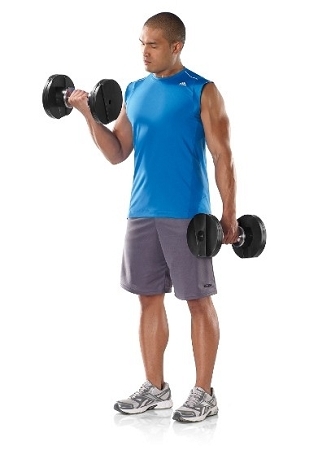 20 distinct dumbbell exercises enabling a total-body workout for users of all fitness levels. 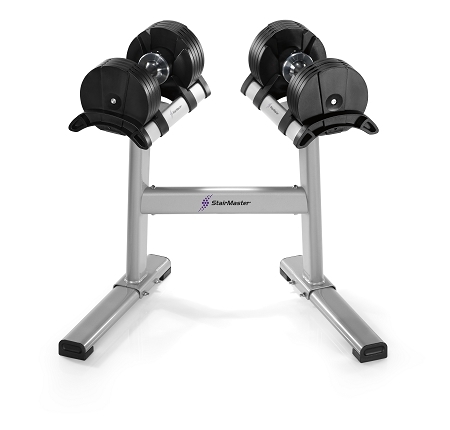 Sold separately, this heavy duty steel frame allows you to mount your TwistLock Dumbbell cradles to the stand at the optimal height for quick and easy access to your dumbbells.